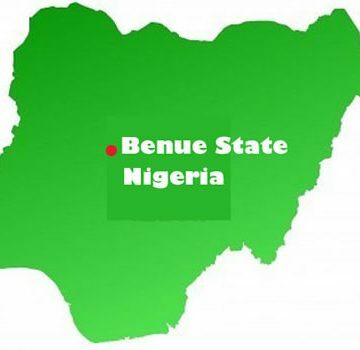 Some elders of Benue State sympathetic to the Social Democratic Party,SDP,have accused its governorship candidate in the state, of being a mole of the ruling Peoples Democratic Party and the state governor,Chief Samuel Ortom. Besides,the elders alleged that Mr Hingam Biem,who is to fly the party’s governorship ticket in the forth coming Benue State governorship race,was still a guest of an anti-corruption agency,the Economic and Financial Crimes Commission,EFCC,over some alleged sundry dealings with the detained former National Security Adviser, Col. Sambo Dasuki. While noting that the party had the brightest chance of clinching the governorship seat in the state given its grassroots structures and acceptability in the state,they stressed that allowing Biem to roll to the final election as its representative in the election would no doubts,cost its victory. This they insisted was on the fact that besides being a mole of the ruling PDP in the state, Mr Hinger Biem does not possess the requisite charisma expected of the occupants of the exalted position coupled with the corruption allegation still hanging his neck by the anti-corruption agency. “We want to remind the Social Democratic Party’s leadership that the party has the brightest chance to win governorship election and other offices if it play it cards very well. “We therefore demand that the party immediately substitutes Hon. Hinger Biem with someone with unquestionable character, charisma and capacity to win election. “We observe that the governorship candidate of the Social Democrats Party has a lot of corruption cases in the anti graft agencies where he’s already making refunds. “We are also aware that 80% of the SDP stakeholders and candidates are not happy with his candidacy but they are helpless. “We are also aware contrary to what he wants the party to believe, Mr Biem is a mole that is working behind the scene for the victory of the incumbent governor of Benue State, and the Peoples Democratic Party PDP, in the forth coming general elections in the state,”it alleged. Even as it said it conceded the nomination of candidates in elections to political parties, it however, was constrained to demand the replacement of Mr Biem with a more credible and an unquestionable person given that the two major political parties,the PDP and the APC have both failed the state in representation. “Though we are aware that nomination of candidates in an election is the exclusive right of the political party but our case in Benue is different because the two major political parties, since the PDP and APC have failed us woefully and we were counting on SDP to produce a credible alternative we can mobilise Benue people to vote for come 2019 “But with Hinger Biem as flag-bearer, if the party allows it to stand, it will spell doom for the it in the election. “We want to remind the Social Democratic Party leadership that the party has the brightest chance to win governorship election and other offices in the state if it plays its cards very well. “On this note,we therefore demand that the party immediately substitutes Hon. Hinger Biem with someone with unquestionable character, charisma, capacity to win election,”the statement insisted.